Tony Ferguson returns after knee injury to headline the main event at UFC 229. He may be an alternate for Connor McGregor. Servite High School finds another great leader in Senior OT Richard Krebs. Now campaigning against Tommy John Surgery in young kids......Tommy John himself. THe largest increases in numbers of tommy john surgery are occuring in the youngest athletes. A-ROD provides the game winner for in the National Women's Soccer League goal of the week - week 19. Two CSUF Pitchers go early in the MLB draft. Eastman goes 107th to the Phillies draft. Quezada goes 216th to the Rockies. CSUF Baseball finishes off Stanford and is set to host the Super Regionals. Amy Rodgirguez scores goals in back to back games and is having a great year for the Utah Royals FC of NWSL. 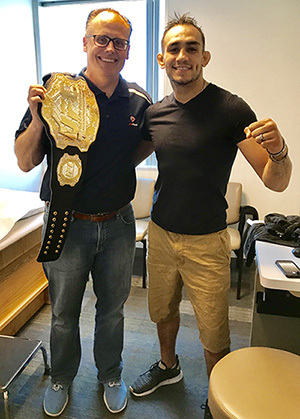 It's truly incredible how great Tony Ferguson looks 3 months after his freak knee injury and reconstruction. Patrick Cantlay approaches 4 Million in earnings on the PGA tour this year. Jose Alvarez - Pitcher, Angels - sets career marks for games pitched and ERA. Tony Ferguson looks to reclaim his UFC World Champion title after knee surgery. Tony eyes November return to UFC. Tony tells ESPN - "Don't Kick me when I'm down." Keith Taylor - UW (Servite HS) - named as one of ESPN's Breakout players for NCAA football this season. Kevin Groeninger named Lacrosse Player of the Year after shoulder surgery. Dr Shepard is featured in Coast Magazine April 2018 issue. 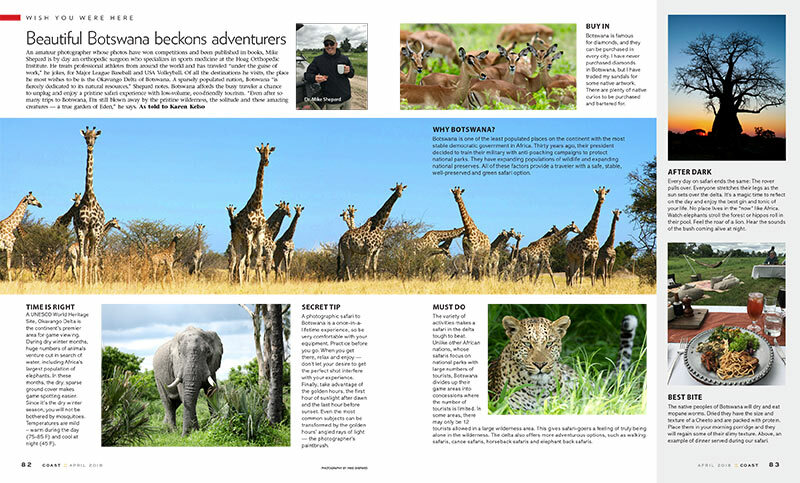 The ongoing article entitled - "Wish you were here " - features Dr Shepard and his travels to Botswana as well as his nature photography. Kevin Groeninger is the OC Register athlete of the week as he leads St Margaret's Lacrosse against Foothill this week. Kevin has committed to a Div I scholarship at Bryant University. Ethan Rae competes at the Prime Time Polynesian Camp and breaks down his offers from Florida, Notre Dame, and the rest of the SEC. J Serra WR Munir McClain commits to USC as he continues his rehab progress. .
Connor Airey is having a great spring and looking to start even more games for UCDavis football this fall. Spencer Lytle enjoys his Notre Dame visit and approaches 20 offers. Justin Brodt continues his strong season with two HR games for Huntington Beach. F'Ave F'Ave has a strong spring game for Washington State looks to start as a redshirt Frosh. Quentin Longrie has a strong year for USC and getting ready for the MLB draft. Tyler Lytle has a strong spring game for the Buffs. Nick Anderson hitting .300 for UCI and keeping playoff hopes alive. Nick Anderson is a UCI Grad transfer from Va Tech. He earns the win and gets the walk off RBI for the Anteaters. Ethan Rae, 4 star TE recruit, gaining offers after ACL surgery. Sean Paquet gets his first collegiate save for LMU after tommy john surgery. Jackson Seybold named OC Register's Water Polo athlete of the year. Munir McClain gets offer from USC after knee surgery. 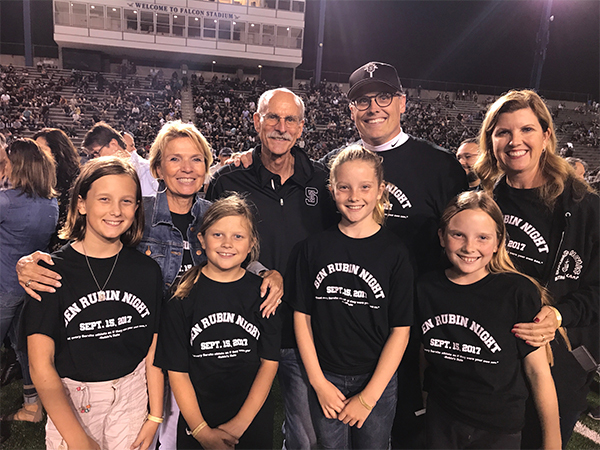 Servite High School names its new sports medicine building after OSI physician Ben Rubin for his 40 years of service. Noelle WInjbelt completes her comeback from shoulder surgery and commits to UC DAVIS. CSUF womens soccer is Big West Champs and on to the NCAA tournament. The Krebs brothers lead Servite into the CIF Playoffs. Servite P, Grant Newton commits to UCSB. Sean Higgins P, commits to Columbia University. Maddie Peters commits to W Michigan for Softball - congratulations to my niece....Maddie. Josh Gruwell returns from ACL surgery and leads Grand Canyon University to a national championship in Lacrosse. Sean Paquet ready to begin his pitching career at Loyola Marymount University. Matt Chapman journeys from CSUF to the starting third baseman of the Oakland As. Brandon Moore signs with CSUF after tommy john surgery. Brooke Sweat and Summer Ross are having a great Beach Volleyball Season. David Olmeda is a top propsect for the TB Rays. It's no surprise that the current Rays corner outfielders have been obtained in trade or through free agency. While they've done an outstanding job of drafting infielders, pitchers, and center fielders, the organization failed to draft powerful outfielders who profile well in the corners. CSUF Titans heading back to Omaha and the College World Series after Colton Eastman's 1 hit performance. LONG BEACH, Calif. &dash; Colton Eastman was heroic and Hank LoForte was clutch, as Cal State Fullerton hung on to defeat Big West rival Long Beach State, 2-1 to clinch the Long Beach Super Regional Championship and the Titans' 18th trip to the College World Series, Sunday afternoon at Blair Field. A daily supplement of pharmaceutical grade chondroitin is as good as celecoxib (Celebrex) at relieving arthritic knee pain and doesn't have dangerous side effects, researchers say. Dr. Jean-Yves Reginster of Liege State University in Belgium and colleagues recruited 604 people over age 50 with knee osteoarthritis from five European countries and randomly assigned them to take 800 mg of the extra-pure chondroitin sulfate (Chondrosulf), 200 mg of celecoxib (Celebrex) or a placebo every day for six months. Dr Shepard travels and provides care for Team USA Volleyball in the FIVB World Grand Prix Matches in Macau, China. Brooke Sweat finishes second at the FIVB beach volleyball tournament in Moscow. Cal State Fullerton advances to the super regional after Chris Hudgins hits a laser to beat Stanford. 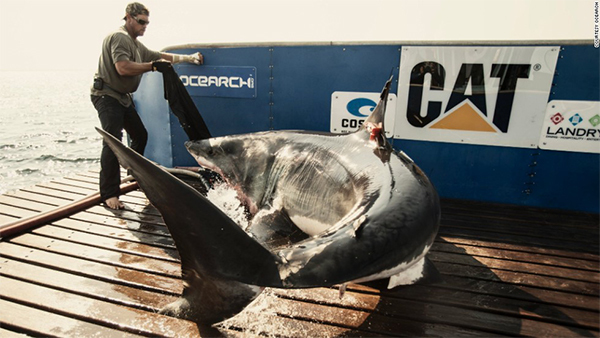 Brett McBride travels the world capturing, tagging, and studying great white shark. Their research contributes to the conservation of sharks and ocean ecosystems. Orange County High School Students get a look at Orthopaedic Surgery and Healthcare careers at Hoag Orthopaedic Institute's Mock Surgery Day. World famous physical therapist and professional athletic trainer Mike Reinold DPT gives his take on ACL graft choices. 9 Months after tommy john surgery, Troy Rallings signs a contract with the Los Angeles Angels. Troy is the reigning PAC 12 player of the year and All American P from the Univeristy of Washington. John Ross - Long Beach Jordan and U of Washington - goes to the Bengals as the overall #9 selection in the NFL Draft. Patient returns to soccer after tearing four knee ligaments and injury to the peroneal nerve. Trent Pellini commits to Purdue University. Congratulations to John Ross who breaks the NFL combine record for the fastest 40 yard dash ever. Neil Pauu earns scholarship at BYU and will joing his brother Butch. Dr Shepard named top doctor by Orange County Medical Association for the 11th straight year. Blayson Varnadoe named California Player of the Year. Congratulations to two leaders of Servite High School. Ugo Akabike received Servite High School Principal's Leadership Award and will attend the University of Oregon in the fall. Carlos Nava Jr received Servite High School St. Phillip's Award for outstanding graduate and will attend the Norwich University in the fall. Brooke Sweat goes from surgery to the Olympics in Rio for Womens Beach Volleyball. Hailey Stenberg commits to Pepperdine for soccer. Dakota Brady finishes SMCHS with a 4.2 GPA and will be playing soccer at Point Loma Nazarene University. Nick Anderson leads Virginia Tech in all hitting categories with a .339/.483/.418 season for the Hokies. Liam Cronin named all county wrestler at 113 lbs. Hailey Archuleta gets her first collegiate hit versus Oklahoma. Westminster High School and UCSB product, Greg Mahle is looking to make the Angels opening day roster. Garret Richards has 100 reasons to be confident in 2016. Nick Anderson returns from elbow surgery and is leading the Virginia Tech Hokies. Nick opened ACC play with a Grand Slam against Miami and has returned to his role as relief pitcher. CDC urges doctors to not prescribe opiate pain medications unless in the postoperative period. Doctors told to avoid prescribing opiates for chronic pain. Logan Sweet UCLA plays his brother Kyle Sweet of WSU. Dr Shepard talks about the dangers of year round sports in the July issue of OC Parenting. LA doctor with revoked medical license still providing "stem cell" treatments to patients. Dr Shepard is honored for his volunteer medical work and pro bono surgeries with OC Access. A program designed to provide free medical care to Orange County people in need. 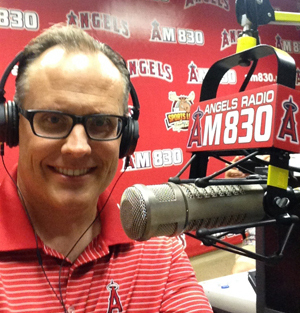 Jose Alvarez recovers from surgery to lock down a spot in the Angels Bullpen. Even though a recent study found readmission rates are not an adequate indicator of a hospital's overall performance, hospitals in the U.S. are still prompted to reduce readmission rates or be penalized by Medicare under the Hospital Readmissions Reduction Program. Clayton Johnson, Gerran Brown, George Wilson, Kyle Sweet, Jack Savage, and Nick Robinson named to the OC Register All-County Football Teams. Major League Baseball introduces the pitch smart website. The website is designed to provide information regarding elbow safety in baseball athletes of all ages. The website includes preventative information and FAQs regarding tommy john surgery. Garrett Richards recovering nicely from patellar tendon repair. Garrett has been cleared to begin his regular scheduled off season throwing program. A preventative, eccentric exercise program is shown to decrease the number of hamstring injuries in professional baseball players. A "nordic," eccentric hamstring strengthening program has been shown to decrease hamstring injuries in 283 professional baseball players. 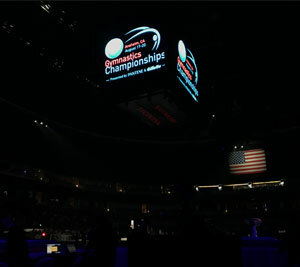 USA women's volleyball wins FIVB world championship. A healthy Jack Savage has a great year for Servite. Fully recovered from off-season shoulder surgery, Jack Savage is dangerous. Max Tuerk named All-Pac12 at center. Could Gavin Escobar be the Dallas Cowboys next big thing? Gavin Escobar has 5 TDs and is getting ready for the playoffs with the Dallas Cowboys. Makenzy Doniak earns First Team All American Honors at UVA. Makenzy has scored 20 goals this year and leads UVA and the ACC. The American Academy of Pediatrics reports that teenagers who do not receive at least 8 hours of sleep are more likely to be injured in sports activities. Max Tuerk at the center of it all for USC. Congratulations to Team USA Volleyball. USA Mens volleyball upsets Brasil to capture WIVB world league gold medal. Dr Shepard interviewed in Shape Magazine regarding recovery after workouts. UCI baseball players - Sparks, Morales, Spencer - go in the first 8 rounds of the major league baseball draft. Matt Chapman - 3B CSUF - is drafted in the first round of the MLB Draft by the Oakland A's. A's draft Matt Chapman and Daniel Gossett. Margaret Schmidt commits to play women's soccer at Texas A&M. UC Davis Football - 1990s All Decade Team. UCI Baseball storms into the College World Series. The Hill twins have dominated for OCC and look forward to the MLB draft. Dr Shepard appears in Good Housekeeping and Woman's Day talking about Thoracic Outlet Syndrome. Nick Difillipo signs with Stonehill College for Football. Kelly Meggs was named Big West Player of the week as she knocked down 10 3-pointers over the last games for UCI. In her career at UCI, Kelly is currently fourth all time 3-point shooter. She will be attending graduate school at the University of Washington after graduation. Jack Savage generating lots of interest after his junior season at Servite HS. Michael Cage Jr drawing scholarship offers from all over the country. "Return to Learn" outlines the need for a graduated academic return for student athletes who have suffered a concussion. Rachel and Neil Pauu of Rosary HS and Servite HS are featured in OC Varsity. University of Virginia Sophomore Makenzy Doniak has been named 1st team All American by the National Soccer Coaches Assoiciation. Makenzy had another incredible year and is one of the top women soccer athletes in the nation. Jack Savage - a junior LB at Servite High School - is starting the recruiting process with early looks from Nevada and UCLA. Savage was all Trinity League at Servite this past year. Here are his highlights from Bruin Report online. A late-season surge led the Chapman University men's soccer team up the conference standings to its first-ever SCIAC Postseason Tournament berth. The Panthers won eight of their final 11 matches to secure the fourth spot in the tournament, setting up a Wednesday match against the first-place Claremont-Mudd-Scripps Stags on Wednesday at 7 p.m.
Dr Shepard interview and article as it appeared as an insert by Concordia University in the Dec 7th, 2013 Orange County Register. Exertional heat illness can affect athletes during high-intensity or long-duration exercise and result in withdrawal from activity or collapse during or soon after activity. These maladies include exercise associated muscle cramping, heat exhaustion, or exertional heatstroke. While certain individuals are more prone to collapse from exhaustion in the heat (i.e., not acclimatized, using certain medications, dehydrated, or recently ill), exertional heatstroke (EHS) can affect seemingly healthy athletes even when the environment is relatively cool. EHS is defined as a rectal temperature greater than 40 degrees C accompanied by symptoms or signs of organ system failure, most frequently central nervous system dysfunction. Early recognition and rapid cooling can reduce both the morbidity and mortality associated with EHS. Makenzy Doniak is having a monster year in Viginia. She has led UVA to the final four of women's soccer and has set a single season scoring record. Makenzy has also been named a first team All-American and is a finalist for the Hermann Trophy as the nations top female soccer athlete. It is taken for granted now that athletes can be repaired. That their shoulders and elbows and hips and knees and ankles, torn asunder in the many ways that sports can destroy the human body (in a football collision, throwing a baseball, screaming down a ski slope), can be restored to something resembling their original condition. That an athlete -- carted-off, air-casted, bedridden and full of pain and self-doubt, contemplating life after athletics -- can be returned to the field as if transported through time to the moment before he was hurt. It was not always thus, however. In fact, it is a relatively new condition, one that has altered not just the physical and emotional, but also the economic paradigm of modern sports. While in town to see Stanley Johnson, John Calipari apparently offered his Mater Dei teammate Michael Cage, Jr. a scholarship. Cage is a 2016 power forward and the son of former NBA center Michael Cage, who played for Calipari when he coached the New Jersey Nets. The elder Cage tweeted the news yesterday. J Am Acad Orthop Surg December 2013 ;21:739-748. Orange County has an active youth sport and recreation culture that encompasses a variety of year-round activities. Unfortunately, injury is a reality of sports participation and concussion represents 10% of all injuries. Rates are highest in football for males and soccer for females. In the past decade, emergency department visits for concussion have increased by 60%. Dr Shepard was recognized in OC Metro this month and by an independent survey performed by Top Doctors in America. Dr Shepard acompanies USA Women's Volleyball to the World Championships in Saporro, Japan. 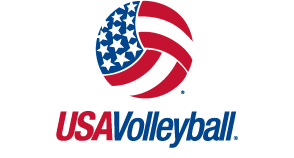 Nicole Fawcett (Zanesfield, Ohio) scored 22 points off the bench to lead top-ranked U.S. Women’s National Volleyball Team to a 17-25, 25-19, 18-25, 25-17, 15-12 victory over host Japan to conclude the 2013 FIVB World Grand Prix Final Round being held in Sapporo, Japan. Logan Sweet earned a football scholarship at UCLA at the end of their 2013 summer camp. Just rewards for all of his hard work after ACL surgery. Logan tore his ACL in the middle of his junior year at Santa Margarita CHS and has worked for 3 years to earn a UCLA Scholarship. He will be a sophomore wide receiver next year at UCLA and capped his season with his first Bruin touchdown in the Holiday Bowl last year. Congratulations Logan! Gavin Escobar getting ready for his first NFL season with the Dallas Cowboys. Dr Shepard accompanies and provides medical care to the USA men's volleyball on its recent trip to Poland. Logan Sweet scores on a 34 yd TD pass in the Holiday Bowl for UCLA. Max Tuerk is Mr Versatility for USC football - will start at guard this year after starting at Tackle as a Freshman. Sophomore offensive lineman Max Tuerk has settled in at left guard this spring after playing tackle and even some center. Go inside to hear how Tuerk is progressing this spring. Dr. Shepard was interviewed by PBS for an article to help people who do not enjoy exercise become more active. Twelve physicians from Hoag Orthopedic Institute have been named among Orange County’s ‘Top Docs,’ according to a new report issued this month by Orange Coast Magazine, and one of the physicians listed, Dr. Nicholas Rose, a hand and upper-extremity surgeon, was featured on the cover of the issue. The other physicians included on the list are: Dr. Kim James Charney, melanoma and sarcoma surgery; Dr. Michael J. Fitzpatricksports medicine and arthroscopic surgery; Dr. Robert S. Gorab, joint replacement and arthritis surgery; Dr. Scott M. Graham, sports medicine and arthroscopic surgery; Dr. Zafar S. Khan, spine surgery; Dr. David H. Kim, sports medicine and arthroscopic surgery; Dr. Stephen A. Mikulak, joint replacement and arthritis surgery; Dr. Nicholas E. Rose, hand and upper extremity surgery; Dr. Benjamin D. Rubin, sports medicine and arthroscopic surgery; Dr. Michael F. Shepard, sports medicine and arthroscopic surgery; Dr. Daniel T. Stein, sports medicine and arthroscopic surgery; and Dr. Russell S. Montgomery, endovascular aneurysm surgery and carotid artery surgery. Less than 5% of all tennis elbow diagnoses are related to actually playing tennis. We recent spoke with Dr. Michael Shepard, a board certified orthopedic surgeon at HOI with specialty in sports medicine and overhead athletes who filled us in on this common injury. Reed Williams leads the UCLA Bruins with seven goals on the season, which is also good for a tie for third in the conference. The junior forward from Newport Beach, Calif. has also posted a single-season best 18 points (7 g, 4 a) in 2012 and had multiple goal games against Maryland on Aug. 31 and San Diego State on Oct. 12. This is the second time that Williams has made the All-Pac-12 team after he was named honorable mention as a freshman in 2010. Jennie Krauser returned from ACL surgery this year to lead the NC State Wolfpack Soccer team in scoring. Jennie has had both her right and left ACL reconstructed with Dr Shepard in the past 5 years. Dr Shepard flew to Chicago Oct 19-21 to be an instructor for a Master's Course in Shoulder Arthroscopy. The course was put on by the Arthroscopy Association of North America and took place at American Academy of Orthopaedic Surgery Learing Center. Sure, mountain biking is fun, but it's not without a little pain every now and then. 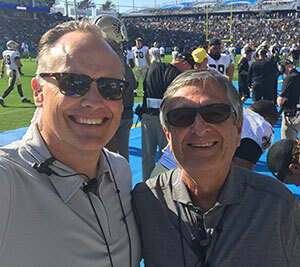 About.com caught up with Dr. Michael Shepard, board-certified orthopaedic surgeon with a subspecialty in sports medicine from Hoag Orthopedic Institute in Irvine, CA, and Dr. Tim Brown, sports chiropractic physician, medical director for the Association of Surfing Professionals and founder of IntelliSkin. The experts in sports medicine addressed the most common cycling aches, pains and injuries. Achy? Injured? Sore? Mountain Biking places high loads on joints that we normally don't think of as load bearing (i.e., elbows, shoulders, wrists). This can be analogous to walking on your hands, says Dr. Michael Shepard, board-certified orthopaedic surgeon with a subspecialty in sports medicine from Hoag Orthopedic Institute in Irvine, CA. That's because mountain bikers load their body weight across the upper extremity joints when traveling downhill. Alon Leichman is enjoying a breakout season after Tommy John Surgery. Alon is a pitcher who returned to Jr College baseball less than one year after his tommy john procedure and keeps getting stronger. Dr Shepard presents his study on Injury Prevention in Elite level Volleyball Players at the annual American Orthopaedic Society for Sports Medicine (AOSSM) Meeting in Baltimore Maryland. The Hoag Orthopaedic Institute was named one of the top Orthopaedic Hospitals in the country by US News and World Report. UC Irvine Medical Center's geriatrics program has made U.S. News & World Report's list of best hospitals for the 12th year in a row. Hoag Hospital in Newport Beach also made the rankings. 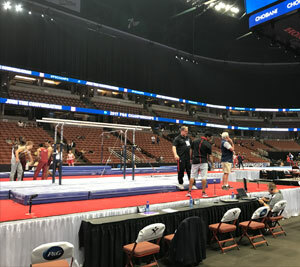 Kylie Doniak of Chino Hills had set her sights on Olympics, but she was severely injured when struck by a car in Austin, Texas. Her family's days revolve around her recovery; a fundraiser is planned. Given the way the 2012 season has gone for the Philadelphia Phillies, it was only fitting that this year's amateur draft be an event filled with surprises for the club. Chapman University RHP Brian Rauh has been selected by the Washington Nationals in the 11th round of Major League Baseball's 2012 First-Year Player Draft on Tuesday afternoon, the second day of the draft. The three-time All-America junior was the 354th pick overall and becomes the 11th Panther since 1999 to be drafted by an MLB organization. Adding to a Bronco team roster that was ranked as high as No. 7 in the country in 2011, Santa Clara head women's soccer coach Jerry Smith announced the signing of five players for the class of 2016 Thursday. The class consists of four attacking players and a goalkeeper. UCLA defeated Louisville 1-0 in double overtime in the quarterfinals of the NCAA tournament on Saturday night. The Bruins (18-4-1) advance to the College Cup in Hoover, Ala. Louisville finishes the season with a 14-7-2 record. In a game played at Servite in front of a very enthusiastic crowd the Servite team did not disappoint. Senior Conner Bevans scored in the 2nd and 20th minute but the goal that brought all the fans to their feet, many with tears in their eyes, was the header scored by junior Mike Wolitski. Frozen Shoulder is a term applied to a number of pathologies that result in a stiff, painful shoulder. Frozen shoulder can result from surgical or traumatic injury, but adhesive capsulitis is an idiopathic, chronic inflammation of the capsule of the shoulder joint that leads to pain and a gradual loss of motion. The average woman has up to a 20% chance of experiencing adhesive capsulitis. Servite High School linebacker and top California prospect Butch Pau'u and do-everything teammate Jherremya Leuta-Douyere called Coach Mendenhall Wednesday with some news. It was news that the BYU head coach and Cougar fans all across the country had been waiting to hear for a long time now. One of three upperclassman returnees at outside hitter for Ducks in 2011, and the squad's lone left-handed threat. As a sophomore saw 2 1/2 more action compared to her freshman campaign (30 sets / 12 sets) and nearly triped her kill total as a result. One of four Duck upperclass returnees that have all received All-Pac-10 All-Academic recognition. Rising sophomore Katie Rigler (Fullerton, Calif./Rosary) of the Princeton women's water polo team was named to the Association of Collegiate Water Polo Coaches 2011 Women's All-America Team as an honorable mention selection. 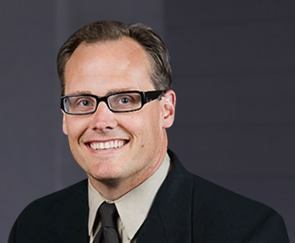 Dr. Michael Shepard is a board certified Orthopaedic Surgeon who is subspecialty trained in sports medicine with special emphasis on the care of the overhead athlete. Dr. Shepard's clinical expertise includes elbow and shoulder injuries of the overhead athlete, elbow arthroscopy, and complex knee reconstruction. University of California Irvine Medical Center contracts out to Dr Shepard to treat all of their multi-ligament knee injuries. Sports supplements and energy drinks are a multibillion dollar industry. Despite their common use and sale, the supplement industry is largely unregulated. A recent study from the Journal of Pediatrics showed that in some areas of America over 50% of High School Athletes have tried sports energy drinks. There is a growing epidemic involving our children today - overuse injuries. 30 million children participate in youth sports nationwide. Across the country, this results in 7 million sports injuries per year and 500,000 doctor visits. In California alone, 750,000 teens participate in CIF supervised sports. Wide participation, year round sports, and early specialization have led to an epidemic of overuse injuries. Often the child at greatest risk is the overhead sports athlete in baseball, softball, swimming, and volleyball. This is particularly true in sunny states like California where these sports are performed year round. Reed Williams of Corona del Mar has been named the 2009-10 Gatorade California Boys Soccer Player of the Year. The UCLA-bound player is now eligible for the national award, which will be announced in May.